When looking to upgrade your old timber windows, it’s tempting to opt for the cheapness and convenience of uPVC. Some double glazing salesmen use horror stories of rotting wood and cold draughts of single glazed timber windows to persuade people to switch to uPVC. But these are just that – horror stories. Scare tactics to sell. Whilst it’s true your original timber windows might not be the best performing, the reality is today’s modern timber systems are designed to offer better levels of thermal efficiency, security and, above all, the classic charm that draws people to houses with timber windows in the first place. People choose uPVC for a number of reasons – maintenance, cost, energy efficiency – but if you’re looking to upgrade your wooden windows we thoroughly recommend you replace like for like. In most cases, original wooden sash windows can easily be restored rather than replaced, and this is cheaper than buying new uPVC or timber windows. 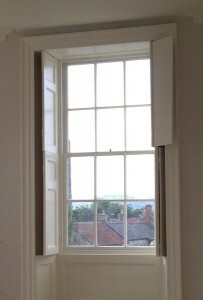 Rotten sashes, cracked glazing and broken pulley systems can all be repaired through a professional timber window restoration company like Wessex. We can even improve the energy efficiency of your wooden windows through our high performance draught proofing system and upgrades to your glazing and weather sealing system. Broken catches and locks can also be replaced to make your windows more secure. If you live in a conservation area there are laws in place to preserve the original characteristics in your home, and this includes period details like ornate plastering, brickwork, and original timber windows. Planning officers will refuse the installation of uPVC so you’ll have to buy timber or have your old windows restored. By doing this you won’t spoil the appearance of your home. After all, original timber windows are a defining feature of many older properties so why take away such a big selling point, especially if you plan on selling your home in the future. Some consider uPVC for its thermal efficiency but there are ways to make your home warmer without changing the look of it. There are simple performance upgrades you can make, or to significantly improve the energy efficiency of your home we offer timber windows which use a slimline double glazing system. With slimline double glazing you can enjoy a quieter, warmer home without sacrificing its traditional features. In cases where slimline double glazing isn’t approved, such as sensitive conservation areas, we can also tailor make secondary glazed units to be installed over the original windows. Another problem which can occur when replacing timber windows is mismatched frame sizes. Timber windows are fitted into deep window reveals whereas uPVC is designed for more modern installations. This could lead to problems when installing such as messy brickwork. uPVC frames are also thicker than timber so additional building work may need to be carried out for uPVC windows to fit, which could end up costing you more than expected. If you’re looking to replace timber windows for whatever reason and need some help, talk to the experts. We can inform you of all the options available to you and help you choose the right one for your needs. You may need a simple upgrade or restoration service to have your windows working as good as new. Or, if you need to replace your windows we can make timber windows to replicate the existing ones, giving you improved security, thermal efficiency and draught proofing without the need to change the charming traditional aesthetics of your home. This entry was posted in Sash Windows, Timber Products.